Type "Western Siberia" in the search bar and click on the city that appears. 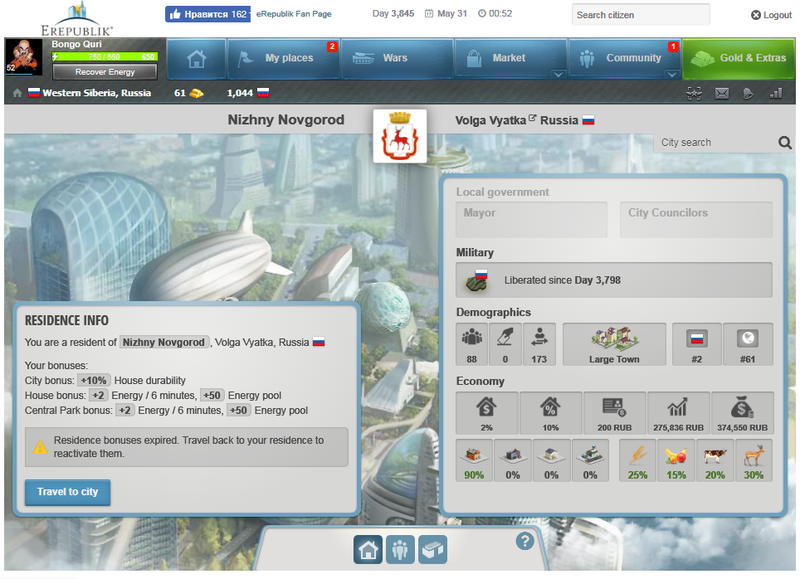 Click on the green "Become a resident" button. Now I tap 'My places' -> 'Residence' and there is no button to become a resident or change residence location. Did I miss something? Got it, I missed the city! Thank you!